He gave his all in four seasons with the University of Alabama from 2012 to 2015, and Reggie Ragland exhausted everything on Sunday in a 37-31 loss for Kansas City in the AFC Championship Game against New England. 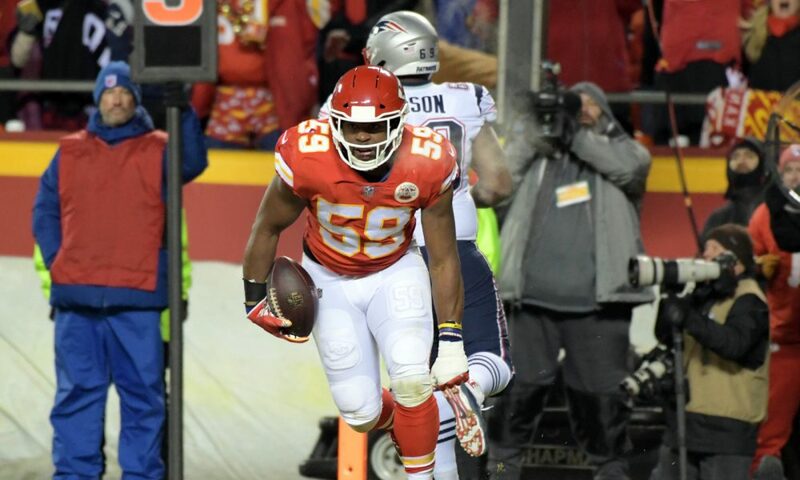 It was Patrick Mahomes II and the Chiefs offense that was mostly recognized for getting the franchise deep into the postseason; however, Ragland and his teammates on defense did experience moments of brilliant play. A native Huntsville, Ala., Ragland turned in his second interception of the season and first of his career in the playoffs, when he picked off Patriots’ quarterback Tom Brady in the second quarter. His efforts would fuel a matchup that went into overtime to decide a champion and a challenger to face the Rams in Super Bowl 53. Ragland’s 12 total tackles was good for second on the team. He finishes the season with 98 tackles – second on Chiefs – three tackles for loss, two pass breakups and two interceptions. Since being traded to Kansas City from Buffalo in 2017, Ragland has felt at home at Arrowhead Stadium in his second season. While former Tide standouts Mark Barron and Dont’a Hightower will meet at Mercedes-Benz Stadium in Atlanta two weeks from now, Ragland waits for his opportunity at a Super Bowl very soon. He was a two-time national champion (2012, 2015), a unanimous All-American (2015) and Defensive Player of the Year for the Southeastern Conference in 2015 for Alabama football.